At Land Mobile magazine, we pride ourselves in covering exactly the right kind of cutting-edge wireless communications technology to help our readers improve the efficiency of their operations and the safety of their employees. At the same time, however, it is also sometimes useful – not to say fun – to look beyond that which offers an immediate palpable use-case and speculate on solutions which could, in the fullness of time, be not just useful but truly disruptive. The most obvious current example of this is undoubtedly 5G, which has received an inordinate amount of coverage despite its most tantalising use-cases (say, fully automated driving) currently amounting to very little but a twinkle in the test bed manager’s eye. In the same way, there are also some extraordinarily cool solutions which, while actually semi-useable in their current form, will likely have to wait for the market to catch up before we see them being deployed in any kind of volume. With that in mind, in this article we are concentrating on two wireless communications products, neither of which, frankly, would be out of place in a spy novel or sci-fi film. 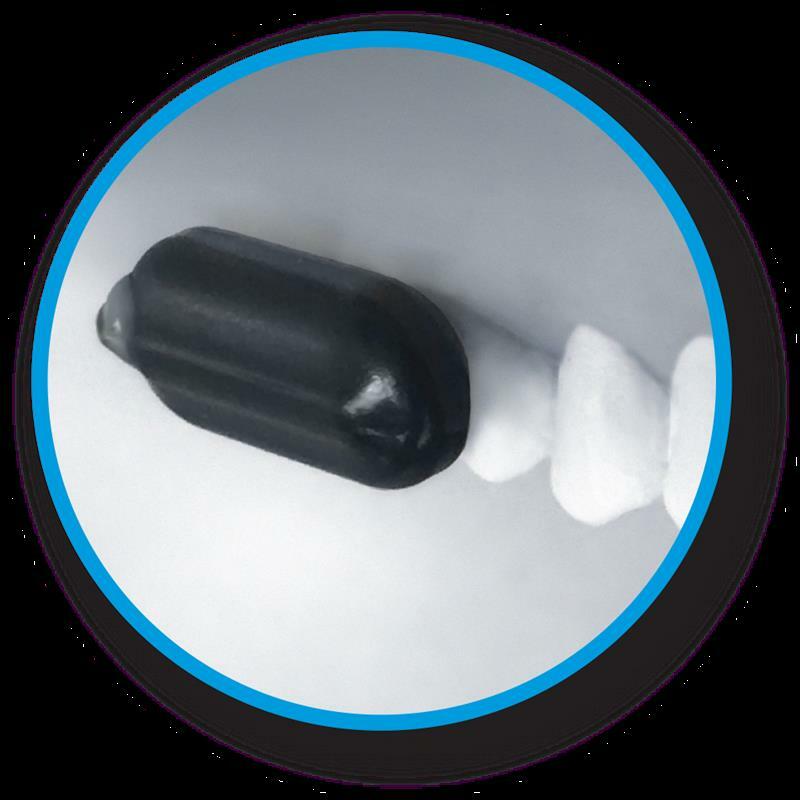 The first of these is the so-called Molar Mic, which has been developed by an American company called Sonitus, for use, at least in the first instance, by the US military. The Massachusetts Institute of Technology (MIT)’s newly developed Alter Ego technology, meanwhile, allows users to produce text simply by thinking of words. Both incorporate the interior workings of the human body to facilitate communication. Both are potentially game-changing. In September last year, Sonitus was the recipient of a multi-million-dollar contract to develop and supply a “personal communication” system to the US Department of Defense. While clearly nothing out of the ordinary in and of itself, the deal could be considered unusual because of the nature of the product, which is designed to enable the radio technology in question to sit inside its user’s mouth. This functionality, according to the statement, allows the user to communicate without external devices needing to be attached to their head. The placement within the body also blocks out any external noise, something which was considered crucial given the challenging environments in which the device is likely to be used by the military. Speaking of the initial development of the product, Sonitus CEO Peter Hadrovic says: “The Molar Mic actually evolved out of another solution, designed to help people who had gone deaf in one ear, working according to the same principles. He continues: “The US military started to become interested after we were introduced to them by In-Q-Tel, which invests in further development of commercial solutions to help solve national security problems. They brought us to the point where we had a field-testable prototype, via a very arduous but rewarding development process. Going into more detail about the workings of the Molar Mic itself, Hadrovic says that the system sends radio signals to the tiny device attached to the tooth that then vibrates the user’s tooth, which in turn sends information through the jaw in the direction of the internal auditory nerve, with the data subsequently being reproduced as sound. “It’s the same mechanism which we all experience when we crunch down on a piece of food or some ice,” he says. “It sounds incredibly loud from your point of view, because you’re experiencing that sound communicated through a direct pathway from your teeth to the auditory nerve. In essence, you hear without the use of your ears. Another recently developed device which operates using the same part of the face (ie, the jaw and teeth) is MIT’s aforementioned ‘wordless transcription’ solution, Alter Ego. As with the Molar Mic, the Alter Ego transmits vibrations to the inner ear, this time using a pair of what the institution calls a pair of “bone conduction” headphones. The aim of the game this time, however, is not to enable users to hear so much as it is to get rid of the need to speak. The spokesperson continues: “Because the headphones don’t obstruct the ear canal, they enable the system to convey information without interrupting conversation or otherwise interfering with the user’s auditory experience. The device is thus part of a complete silent-computing system that lets the user undetectably pose and receive answers to difficult computational problems. According to MIT, this has evolved into, it has to be said, the rather more prosaic potential use-case of enabling users to look things up on their phone without shifting their attention from their immediate environment. Georgia Tech College of Computing’s Thad Starner – as quoted on the MIT website – meanwhile, believes that in the fullness of time Alter Ego could eventually be used to communicate in high-noise environments, or even as part of military special operations. Going back to the Molar Mic, as mentioned, the technology is currently being trialled with American troops in the field through the DOD Defense Innovation Unit. Describing the scenarios in which it is being field-tested, Sonitus’s Hadrovic says: “We work with a variety of units. Among those we can talk about is a local para rescue team based at Moffett Field in the California Bay Area, which has essentially become one of our test beds. “During the testing process, we’d integrate the Molar Mic and its communications interface platform with the systems being used by the soldiers as part of the mission. As well as the device itself, the personnel also wear a relay/push-to-talk box which allows them to jack into any radio system that they come into contact with, depending on where they are. He continues: “In terms of other practicalities, each unit has to be fitted individually, which means taking a digital scan of the user’s back tooth. Once it’s made they just clip it on, which takes a little bit of training but is fundamentally quite intuitive. For Hadrovic, the Molar Mic’s use with the military is only the first of many potential use-cases, with the company also seeing the possibility for adoption by first-responders. As is the case across the digital communications sector, it would appear that the future is only limited by the scope of potential users’ imagination.